Last two weeks were such a holiday. You would wonder if any place is worth a Holiday within this busy city. YES there is ! 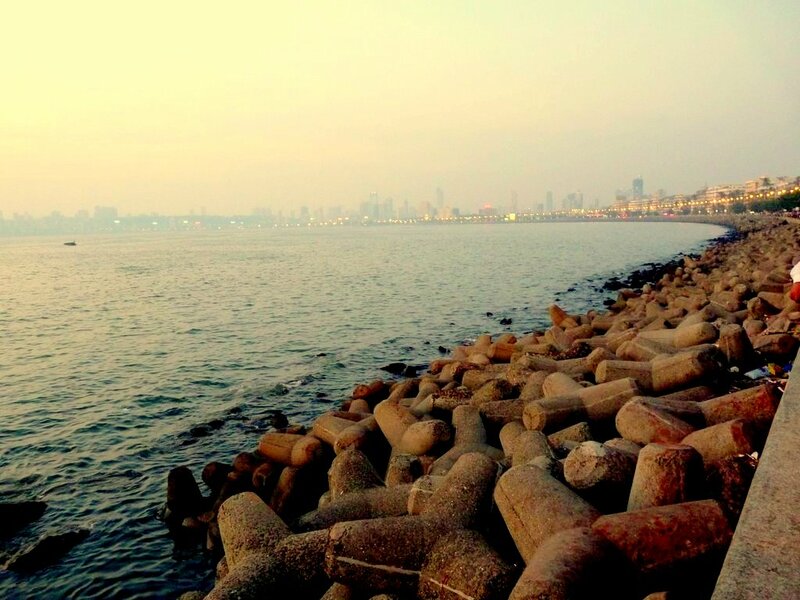 I stayed with a cousin right opposite the Marine Drive. It was the most "fresh" and noise free area to stay in. It was intriguing to see how hundreds of people would walk by the sea to keep themselves free, and more over how many sat there facing the horizon, lost in their creative thoughts. Walking back home, I had an opportunity to meet one of the finest artists( considering I haven't come across many). He was the stereotype of any painter. Lost, creative, almost ragged clothes and paint all over his body. He was using his hand to paint the beautiful scene of the sunset. He just used 3 colors - orange, blue and white. The smallest of ripples was drawn by him with his fingers. Noticing me notice him for so long, he managed a smile and asked me if I wished to join him. Luckily I did. I managed to see his rest painting on his Mobile - All were MUMBAI. A picture can actually speak a 1000 words. It was amazing. Telling him of Explore Mumbai - impressed he was. Gave me very valuable tips and ideas too - creative after all, its a matter of seconds for them. I wish to come across him very soon. P.S : Back home - I Want to go back to Marine Drive ASAP ! !